Sectional doors from Miba offer that little bit extra thanks to exceptional quality and unique design. They are both safe and virtually silent in operation. Miba's reinforced rail systems and profiles are UNIQUE to the Belgian market and undergo continuous development by our own production team. Miba's extensive product portfolio: automatic or manually operated garage doors, stand-alone, or with almost invisible integration into our façade cladding and a full range of accessories including in-built doors, windows, and grilles to decorative plinths and other decorative finishes to suit your own preferences. 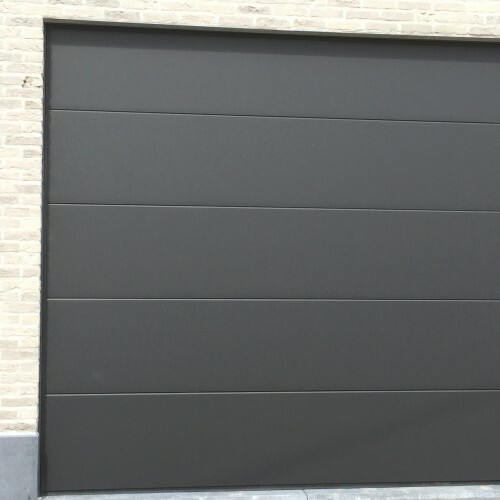 Sectional door: a number of versions of this door are available, the door comprises multiple horizontal panels. 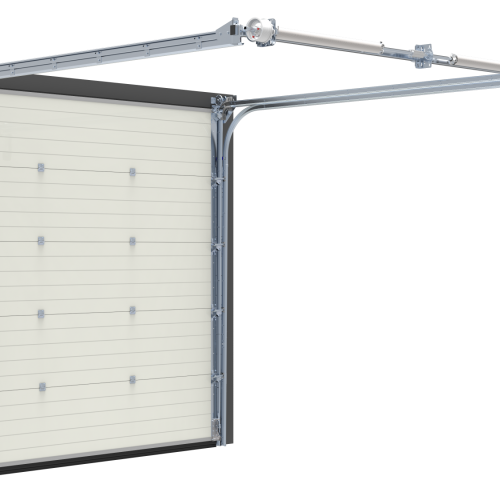 The door opens vertically upwards to its limit position below the ceiling..
Sectional door in pastoral style: this door is a special version comprising three or more horizontal panels with vertical lineation and opens vertically upwards to its limit position below the ceiling. Both wood and steel versions are available. Double swing-open door: this garage door comprises two leaves that swing outwards. Both wood and steel versions are available. Roller shutter for residential use: these aluminium roller shutters are always made to measure and are available in unique colours or the colour of your choice. 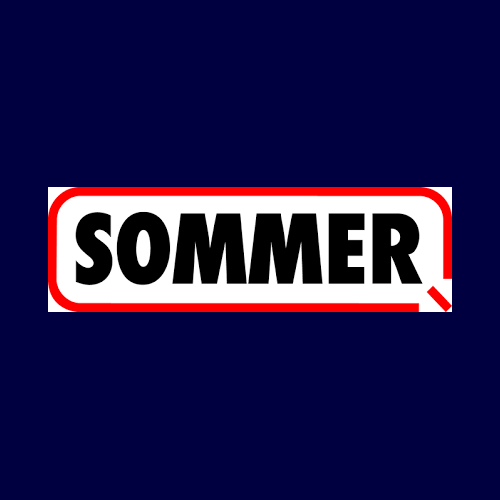 The system is ideal for garages with limited installation space.